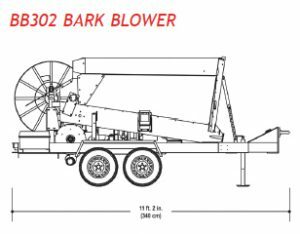 The BB302 Bark Blower has proven to be the most popular Bark & Mulch Blower for the small to midsize landscape company needing durability and performance on every job site. 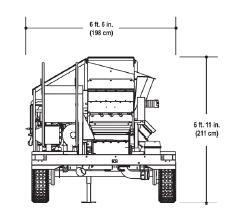 The BB302 applies landscape mulch and other bulk materials with unprecedented efficiency and eliminates the need for labor-intensive hand application. This unit significantly reduces worker fatigue, wasted materials, and unnecessary time on the job site by replacing them with a productive and performance-enhancing alternative. *Working weights are approximate and do not include options or stored materials. Based on material at 750 lbs/cu. yd.